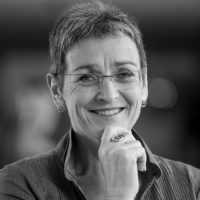 Ulrike Lunacek is an Austrian Green MEP since 2009. Since July 2014, she is Vice-President of the European Parliament and Co-President of the Intergroup on LGBTI Rights and Member of the Committee on Foreign Affairs and Substitute in the Committee on Civil Liberties, Justice and Home Affairs. Wywiad z MEP Ulrike Lunacek. The deal between Serbia and Kosovo, brokered on 19 April by Catherine Ashton, is a sign of hope that the future of the western Balkans lies in the EU – but there is much more work to be done.